I offer online consultations to assess your circumstances and eligibility at a time convenient to you. My Skype appointments are very helpful and informative and will lead you to the correct pathway to your immigration experience in Australia or New Zealand. If you will apply for a visa by yourself, I offer an assistance service to ensure your application has the best chance of success. Through your independent determination and my professional Immigration Law assistance, we can ensure you submit a well-prepared application and confidently communicate with authorities. I offer consultations for registered and licenced agents and advisers in Australia or New Zealand and overseas practitioners.  Not only do I work closely with, and refer clients to, reputable agents, but I also offer advice and/or assistance regarding assessment of eligibility, applications, submission, education enrollments and current immigration policy and issues. Immigration visa advice when you are preparing application for an Australian or New Zealand visa yourself! Five steps to relocating to Australia or New Zealand!